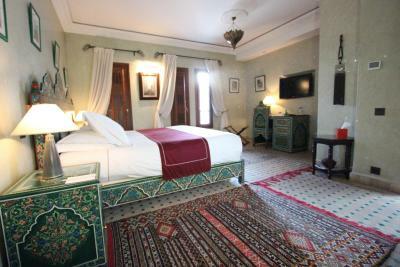 Lock in a great price for Dar Chams Tanja - rated 9.5 by recent guests. 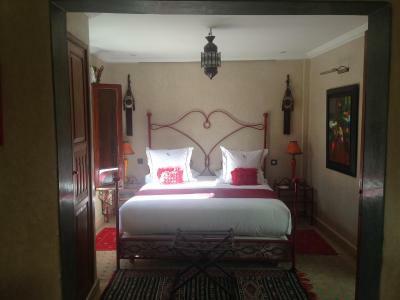 I loved everything about Dar Chams Tanja- especially that I felt so taken care of - from taxi rides to tour guides to even walking me to a restaurant!! 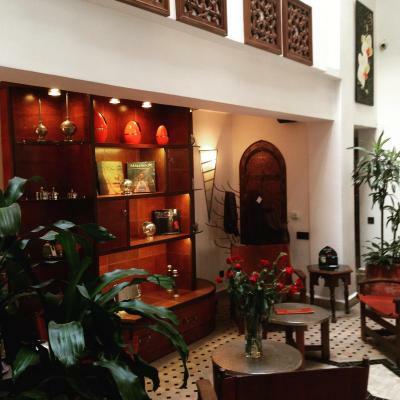 If this is your first trip to Tangier and may feel a little overwhelmed you can rest knowing that everything will be cared for. 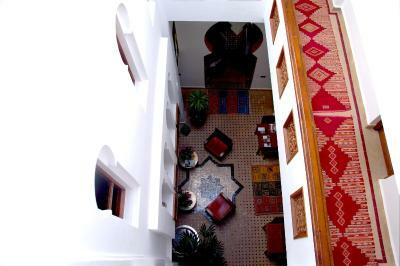 It is a beautifully restored building in the Kasbah that exudes peace and comfort as soon as you enter the door. The staff is kind and attentive. And Dominque and Michele were exemplary hosts!!! I will be back! We missed the normal breakfast due to an early flight but the hotel was very accommodating and had the staff prepare us a light breakfast with tea in the morning. They got us a taxi to the airport as well. The owners are very kind and welcoming. 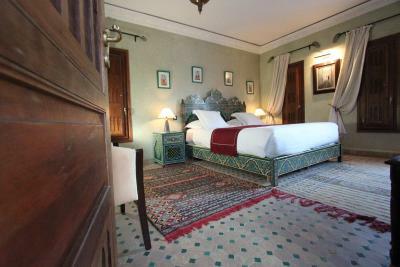 Absolut amazing place to stay at, if you are looking for a typical Moroccan high class style hotel in the middle of the old town. On top of that a staff that really knows what a host should be. They really take care of their clients. great place: location, view, rooms, design, all perfect for me rich breakfast Warm welcome by the owners, helping with information about sights, providing maps etc. Both of the couple owners were there during check in and check out. The wife, Michelle, also supervised during breakfast. Hospitality of staff, excellent breakfast, clean room...everything!! 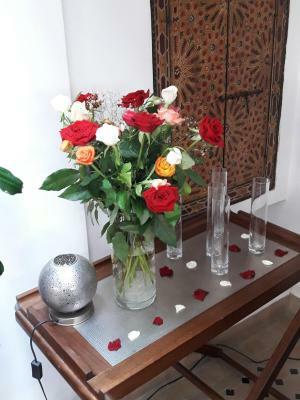 A charming new boutique hotel of 7 very large individually decorated rooms with large bathrooms and wonderful showers, huge comfortable beds and a sitting area. Very stylish design throughout the property and the delightful French owners, Domenic and Michele could not have been more accomodating and hospitable. 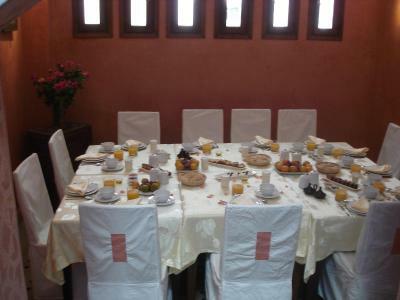 All the staff were wonderful, and still smiling when we were served an early morning breakfast prior to our long day travel to Chefchaouen. Many relaxing public rooms on every level with a great library of books. ...novels and Maroc travels. 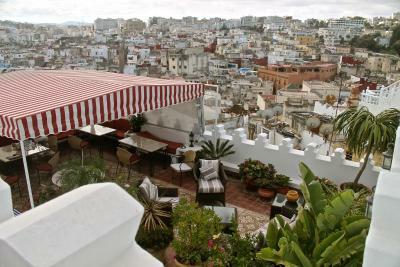 On very top level was a stunning rooftop terrace with far reaching views over Tangiers where breakfast (delicious and included in room rate ) was served, and also where we enjoyed an evening wine and snacks before heading off to the recommended nearby restaurant for dinner. Can thoroughly recommend. 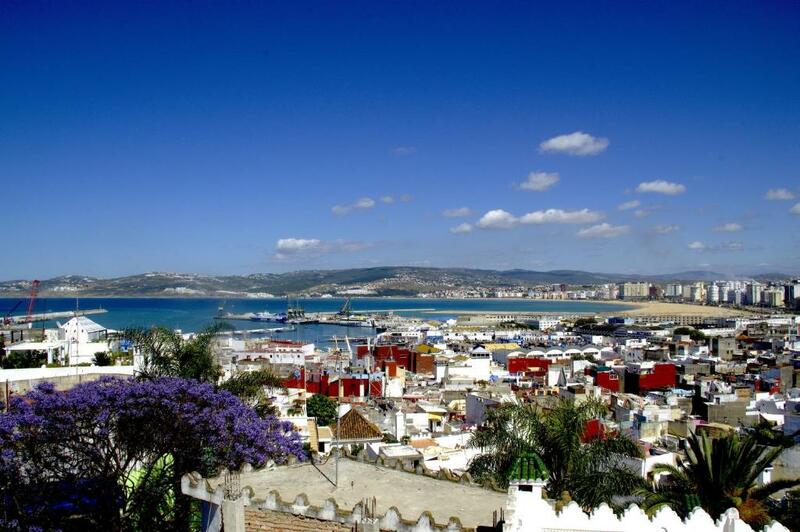 Set crossroads of the Kasbah and Medina, the Dar Chams Tanja guesthouse offers an exceptional view over Tangier, its bay and the Straits of Gibraltar. 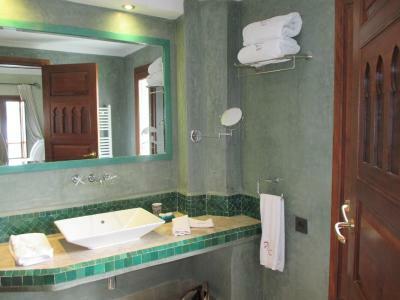 It is within easy access of the souks and features a hammam. 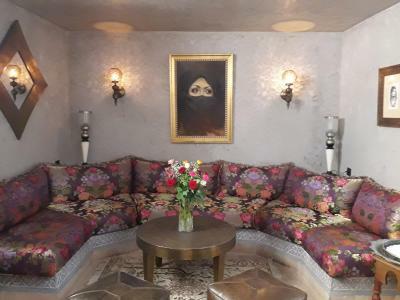 The Chams Tanja is a traditional Moroccan guest house and offers air-conditioned rooms and suites with flat-screen TVs and private bathrooms. Each has free Wi-Fi access, a safety deposit box and is soundproofed. 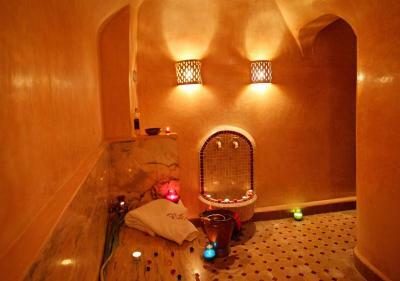 Dar Chams Tanja also provides a 24-hour reception and a well-being centre, which offers massage treatments. Additional features include a safety deposit box in reception and public parking, 100 yards away. 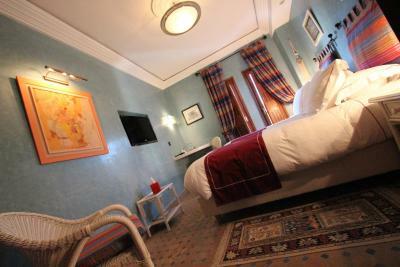 Dar Chams Tanja has been welcoming Booking.com guests since 3 Jan 2011. 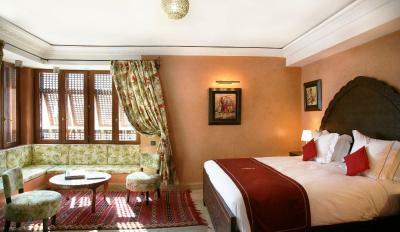 When would you like to stay at Dar Chams Tanja? 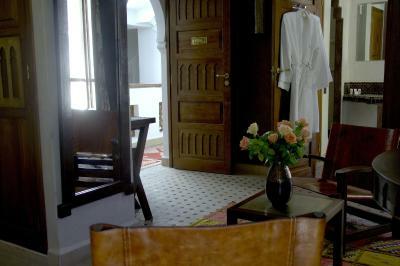 This air-conditioned suite offers a seating area and a flat-screen TV. 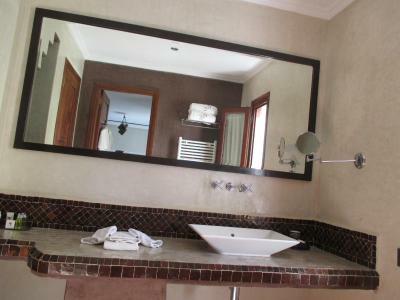 It includes a bathroom with separated toilet. 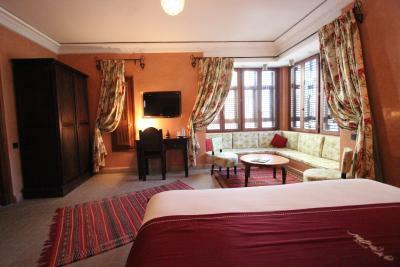 This suite can accommodate one extra baby cot. 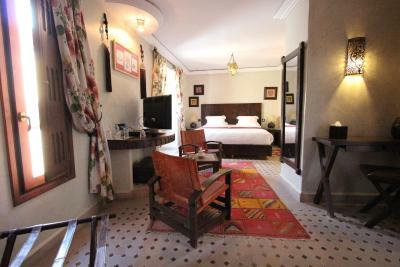 This suite can accommodate two extra bed. 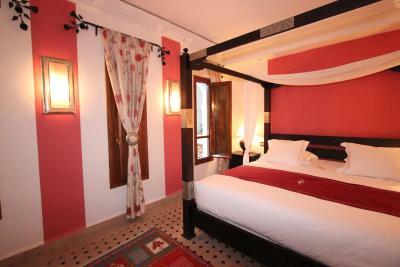 This suite can accommodate one extra bed. This air-conditioned room is equipped with a flat-screen TV. 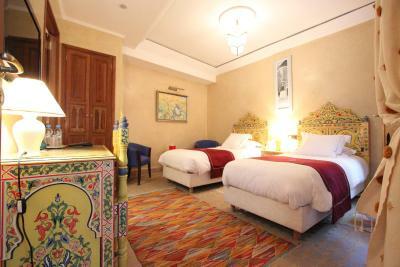 This air-conditioned room is equipped with a flat-screen TV. 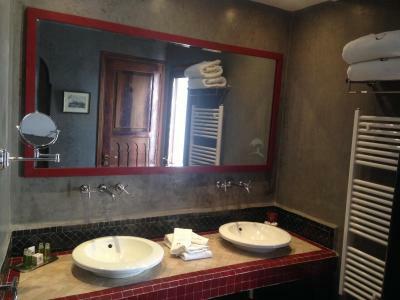 It includes a bathroom with separated toilet. 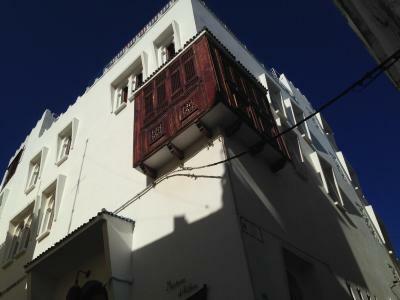 Luxury boutique hotel/bed and breakfast/guests house in the heart of the Medina of Tangier with high level of comfort and services. 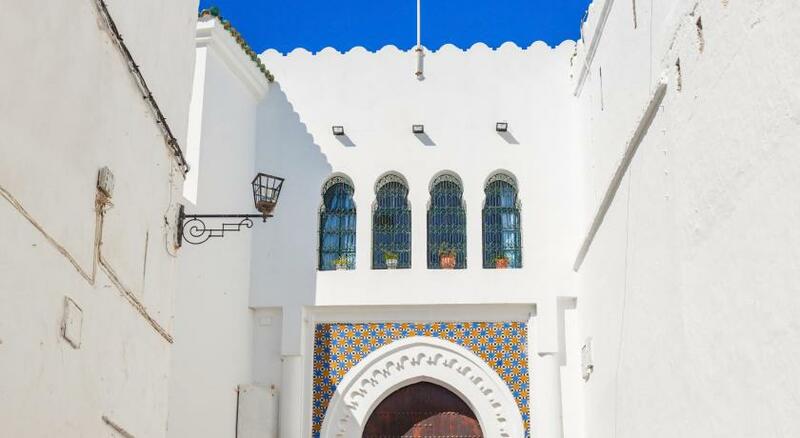 Opened in 2011, this beautiful house was designed by a spanish architect at the site of two old buildings in the medina of Tangier as a modern moroccan-andalou riad. 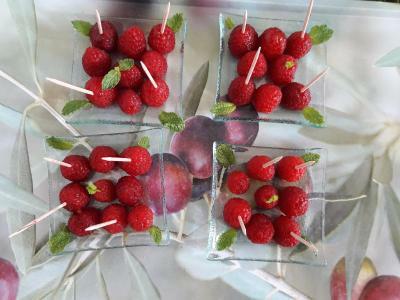 The owner, who welcome you on site, made the decoration with taste. 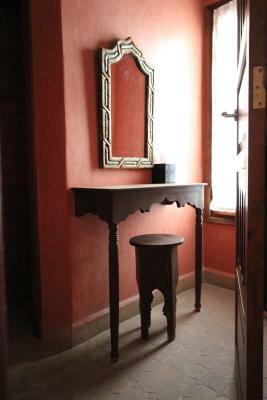 Our letmotiv: " to feel with us as in your own home!" 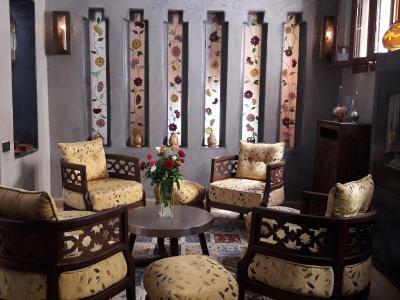 in a cosy and warm atmosphere. House rules Dar Chams Tanja takes special requests - add in the next step! One child under 12 years is charged EUR 26 per person per night in an extra bed. One older child or adult is charged EUR 36 per person per night in an extra bed. Dar Chams Tanja accepts these cards and reserves the right to temporarily hold an amount prior to arrival. Please note that the extra bed depends on each room category. 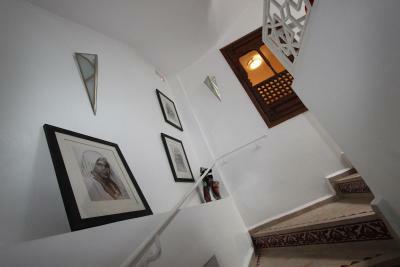 The owners are so friendly and informative and rooms are large, immaculate and GORGEOUS. 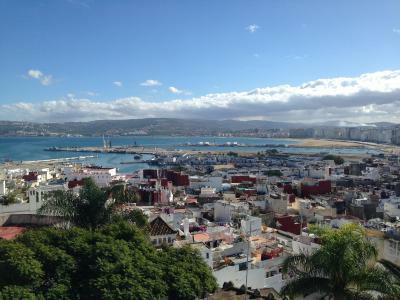 Location is perfect in the middle of the historic area, with views from room of Atlantic ! We didn't realize that the neighborhood would be so quiet and closed at night which made it unnerving to walk there at night we ended up having to take a taxi up to the hotel at night but due to the small narrow streets they cannot get all the way there which led to some alarming evening walking. 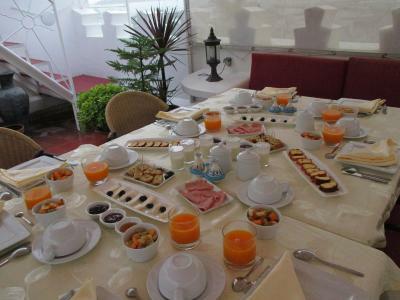 Beautiful and spacious, great service, delicious breakfasts, wonderful hosts and staff, perfect location - we will return! Hotel is right in the heart of Medina (old city), 15 min walk from/to the port, literally just around the corner from many restaurants. Dominique and Michèle are absolutely amazing! Hamsa, the local guide, recommended by Michèle is fantastic, took us on a 2.5hr tour around old city, very friendly and informative, treated us with mint tea at the local tea house and was very generous with his time. Incredible views from the roof top. 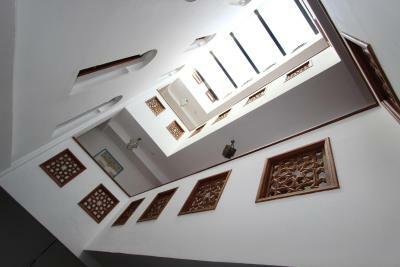 also, you can order coffee or tea and enjoy the views from above. 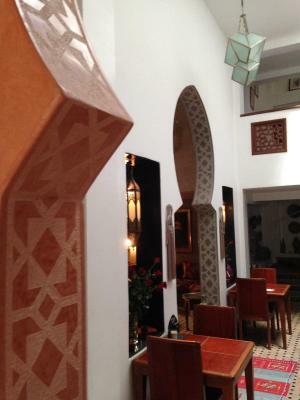 Our first night in Morocco was wonderful thanks to Dar Chams Tanga! 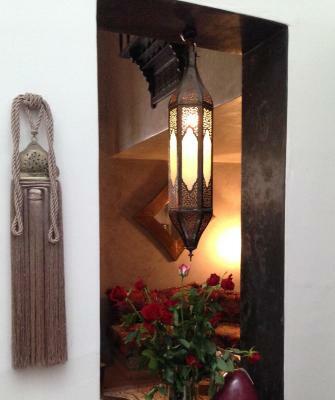 Such a lovely riad! Michelle made us welcome and comfortable after our long travels. Breakfast was delicious, and we set off the next morning with fine directions. Our driver was helpful and accommodating as we needed to purchase tickets for the high speed train. 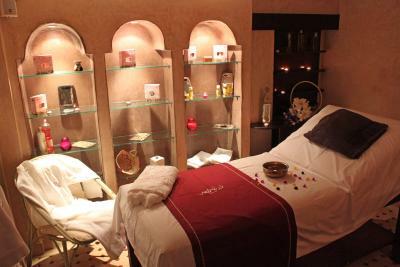 The location is excellent - easy to find near the Kasbah. 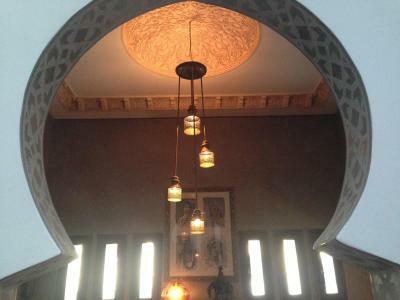 Beautiful reproduction of a classical Moroccan home. 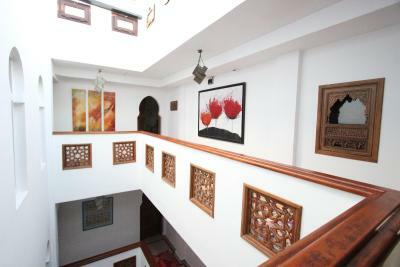 Very well appointed public areas and rooms. 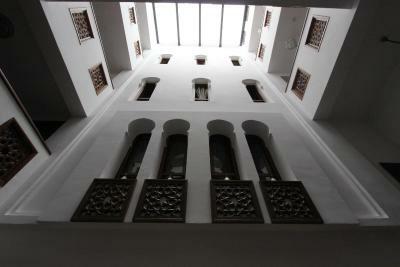 Modern conveniences in traditional Moroccan styled building. 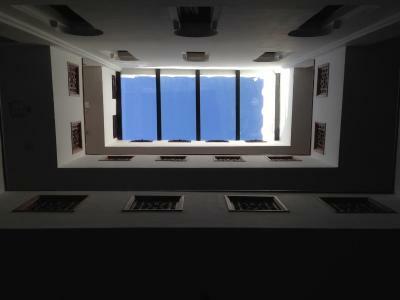 Located just above the souk. Easy walk downhill through narrow streets. A little more difficult walking back, but taxis are easy to find. 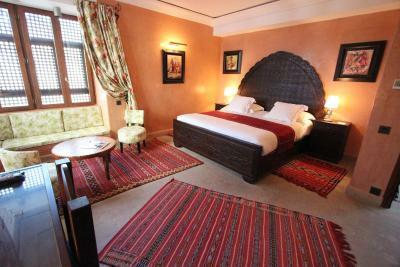 The Dar Chams is beautifully appointed, with great attention to detail which was not lost on my husband and I. 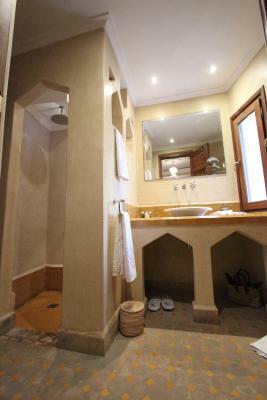 The linnens were first rate the beds were soft yet firm and the water pressure in the shower was outstanding. The Owner Michele is a wonderful woman and host Kahidija is helpful and informative. 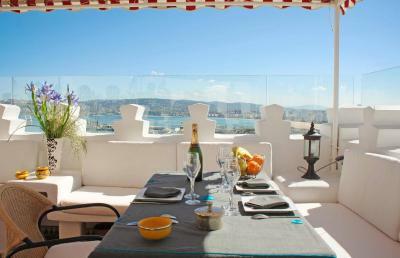 Breakfasts on the rooftop terrace were delightful. The food and coffee were tasty and you will receive plenty of attention. We asked for our laundry to be washed and everything was returned in perfect condition. 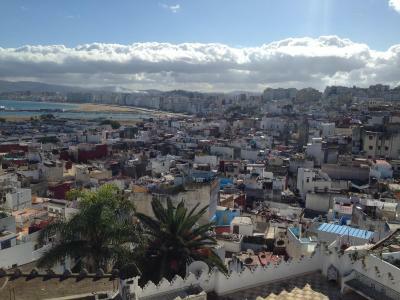 Michele provided us with a great recomendation of "Mohamed Saimo Tour +212 674842558 " and we enjoyed a week long tour throughout Morrocco that enriched our Morroccan experience. 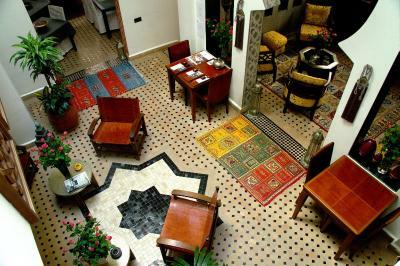 And if that is not enough the location couldnt be better for walking to the Kasbah and Medina. For all of these reasons I highly recomend this establishment and their recomendations. The interior decoration was very nice. 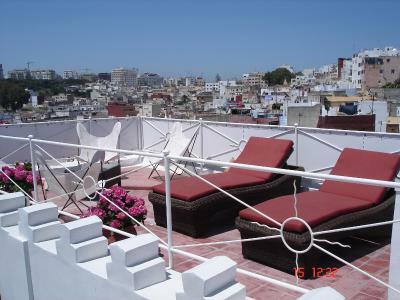 The rooftop terrace and breakfast was also great. 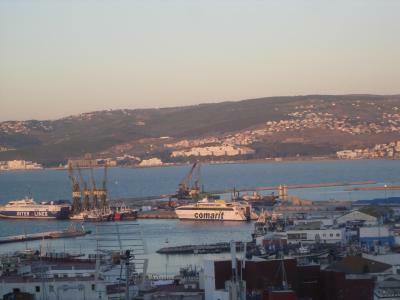 The best part was the friendly staff who were very helpful in helping us organize pickup from Tangier port as well as sightseeing by car in the city. Also recommended us some locations to eat as well as some places we could walk to nearby.